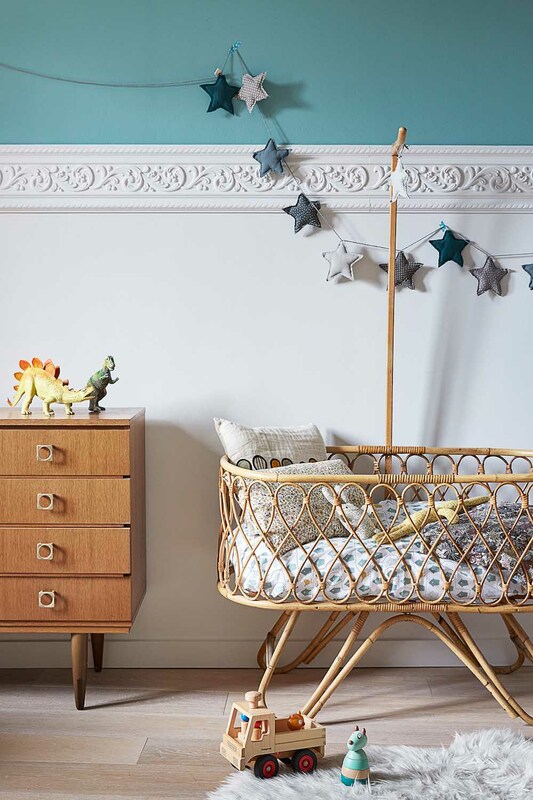 It's been a part of most of our homes in some way for as long as I can remember and now, rattan is here to stay in children's rooms too! Whether as a feature chandelier, a basket or a key piece of furniture, rattan has a way of adding so much interest and style to every space it's a part of and I love it! Here are some of my favourite spaces that use this trend beautifully. In this space, the rattan pendant pairs beautifully with the green of the palm wallpaper and that gorgeous table and chair set. This is just one room in an incredible new home in Australia. Rattan can so easily be added in small doses, such as this rocking horse and the mirrors. There is nothing better than a rattan daybed, such as this one here. The intricate detail on this stunning vintage bassinet proves why rattan will always have a place in a baby nursery. And finally, what could be better than curling up in a rattan swing chair with a good book or two?